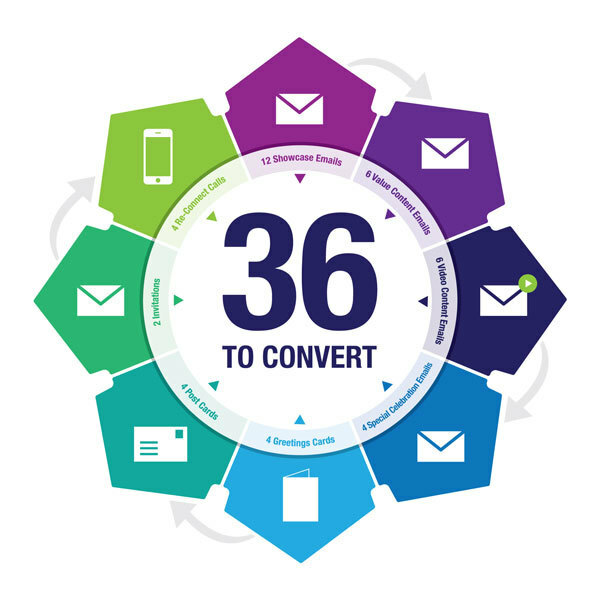 On the 28th of every month an email is sent to everyone in your database. This is a case study story showing your skill and expertise and how you helped your customers. On the 15th of month 1 and every other month thereafter an email is sent to everyone in your database. This is a thematic, educational, inspirational or informational email. On the 15th of month 2 and every other month thereafter an email is sent to everyone in your database. This email has video content either a personal message or tips and information from your industry. 2 traditional and 2 unique celebration emails are sent to everyone in your database. Using a formula and time blocking, call everyone in your database every 13 weeks.